Playful electronic experimenter Matthew Herbert is both fascinating and prolific, making his deep discography all the more worth celebrating. Thankfully, we'll have a perfect opportunity to look back with some reissues on the way soon. 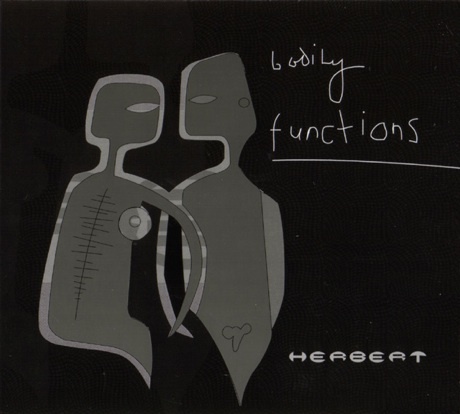 First up is an expanded edition of the producer's breakthrough 2001 effort Bodily Functions, which will be released on December 17 via the artist's own Accidental imprint. The album, which was created out of sounds of the human body, will be available in a double CD edition. The second disk features remixes from the likes of Jamie Lidell, Matmos and Plaid, as well as a vocal treatment featuring Perry Farrell. The reissue campaign will also come with a limited-edition 12-inch record, featuring brand new remixes from DJ Koze, Mr. Oizo and Dave Aju. Following the Bodily Functions rerelease, Herbert has revealed plans to release a box set called Herbert Complete. Due on March 4, the set will collect his work from 1996 to 2006. More information on that as it becomes available.